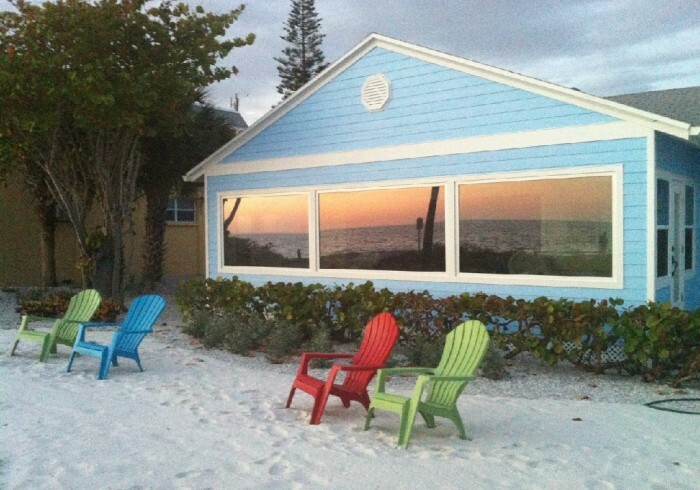 THE BEST BEACH HOUSE SIESTA HAS EVER OFFERED, GUARANTEED!! DIRECTLY GULF FRONT! Complimentary Bicycles, Beach chairs, Beach-Towels, Free-rides around Siesta and 7-day week office(s) for your convenience and guest needs. When you dream of a Beach House that sits on the whitest & most soft sand in the World, Sand made from Quartz Beach that is always cool to the touch, We have it!! So, Kick back and enjoy the dolphins frolic in our crystal clear waters of the Gulf of Mexico from Casa del Capitano, well known as “The Captain's house” - This is the choice location locals call Sunset Beach where relaxing and making memories is all that’s required but just one block to the east you’ll find the rich arts and cultural community of Siesta Village. You’ll find many great local cuisines where you’re welcome to enjoy a cool beverage under the palm trees and soak in some live music or take a stroll through the village while enjoying some shopping. Siesta Key beach, rated #1 in the country by Dr. Beach and TripAdvisor where the memories will linger long after your footprints in the sand have been washed away by the gentle waves The most well-recognized Property on Siesta Key is waiting for you. Heated Pool Access is available at our resort, Siesta Key Beachside Villas. 124 Columbus Blvd. Fitness center discounts are available at Siesta Key Fitness.